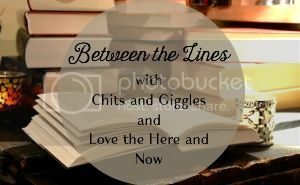 Since I missed last month, I made sure that I finished this book and wrote a post in time to link up with Kristyn and Anne for Between the Lines! I love being part of a community that encourages me creatively and has a place where my blog friends can share our interests. I love to read, so I want to be sure to participate in a "book club" of sorts whenever I can. 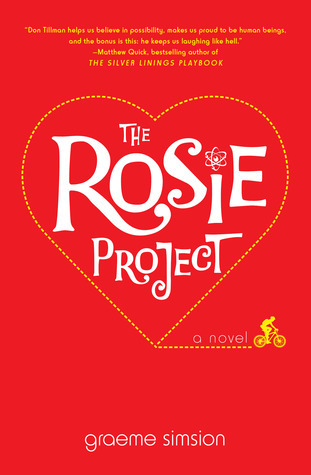 I had heard of The Rosie Project about a year ago from a former co-worker who recommended it to me. It had been on my audible list, but with some really long things to get through it just hadn't come up yet. I stopped reading Storm of Swords for a short time so that I could read this for this month. This book is very cute. The man who narrated it on audio book is Australian, which made it very authentic, too. It is a very unconventional love story, which I think is so endearing. I just loved Don, and rooted for him to succeed the whole time. 1. Were you surprised at the ultimate revelation of Rosie’s biological father? Did you suspect someone else? I was a little bit surprised at the revelation of Rosie's Father, only because they build it up throughout the whole book, and then when you find out, you can't even meet him. That was super anti-climactic. Honestly, I suspected different people through different points in the book. At one point I suspected Isaac when they were visiting them in New York, and then I suspected Jean when we found out Gene took the photo of Rosie's mother. I thought with all the twists and turns the father project was taking, we were sure to meet Rosie's father in the end. 2. Do Don’s Asperger’s conditions help him or hinder him? Does Don’s having autism offer any advantages in his life? A little bit of both. He is able to be extremely productive in his work, and with learning new tasks. He learns dancing and cocktail making very quickly, but isn't able to really apply them, because he doesn't have all the skills necessary (such as adjusting quickly to the beat of the music). Don struggles a lot with personal relationships. He says numerous times that he doesn't have many friends. He can count them on one or two hands. 3. Do you feel happy for Don when he gets rid of some of his unique mannerisms in order to win Rosie or do you feel that he lost a part of himself? I do feel happy for Don. I think that everyone changes a little bit of themselves when they enter a relationship. That's just part of compromise. Don can still be himself and not eat on a schedule. I don't think that those silly quirks are what make him who he is. I think that Rosie and Don make a good team. I think that that is shown in multiple situations when they are working on the Father Project. Almost every situation that they get themselves into involves teamwork of some sort to get out of. While they don't have the most "conventional" of relationships, it clearly works for them. 4. Does Gene get his comeuppance? What do you think of his marriage situation? I don't really think Gene gets his comeuppance. I think that Gene and Claudia's marriage situation is very strange. Open marriages just seem bound for disaster, and clearly they were headed in that direction. It isn't very clear to me what made Gene turn his behavior around either. I do appreciate that at the end of the book they are starting to turn their relationship around. I am still confused about who her father is. And yes, you have the Father Project going on the entire book, and then finding out the father happened so quickly. It was confusing and thrown together, in my opinion. Thanks for joining us! I agree that in all relationships we all change a bit but don't really lose sight of ourselves. So did you think Gene was the father? I thought it was Phil!! There appears to be some confusion as to who it really was! You and I had very similar thoughts in regards to this book! I definitely thought it was Isaac and Gene as well until I got closer to the end of the book! I hope in The Rosie Effect (I really want to see what happens!) we are introduced to Rosie's father a bit more. It was very a anti-climatic and confusing ending! I'm not sure who I thought was the father! I was so confused by the end!! I didn't realize until more people were talking about it that there was a sequel. I might have to check it out!